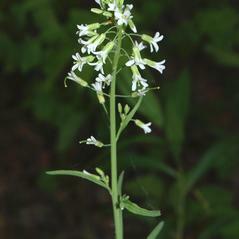 Graham's rockcress is distributed across northern and alpine North America, and is extremely rare in New England, where it is known only from Vermont. It inhabits ledges, rocky banks and woodland sites with high-pH bedrock. basal leaf blades glabrous or sparsely pubescent with simple hairs, sepals always glabrous on the abaxial surface, and pollen ellipsoid (vs. B. grahamii, with basal leaf blades sparsely to densely pubescent with compound hairs bearing 2-7 rays, sepals sometimes pubescent on the abaxial surface, and pollen subspherical). Graham’s rockcress. 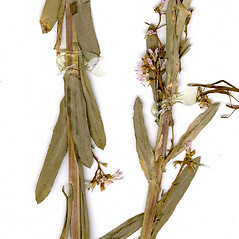 Arabis brachycarpa (Torr. & Gray) Britt. ; A. drummondii Gray var. brachycarpa (Torr. & Gray) Gray; A. holboellii Hornem. var. brachycarpa (Torr. & Gray) Welsh; Boechera brachycarpa (Torr. & Gray) Dorn; Turritis grahamii Lehmann • VT. Ledges, rocky banks and woodlands, all in regions of high-pH bedrock. 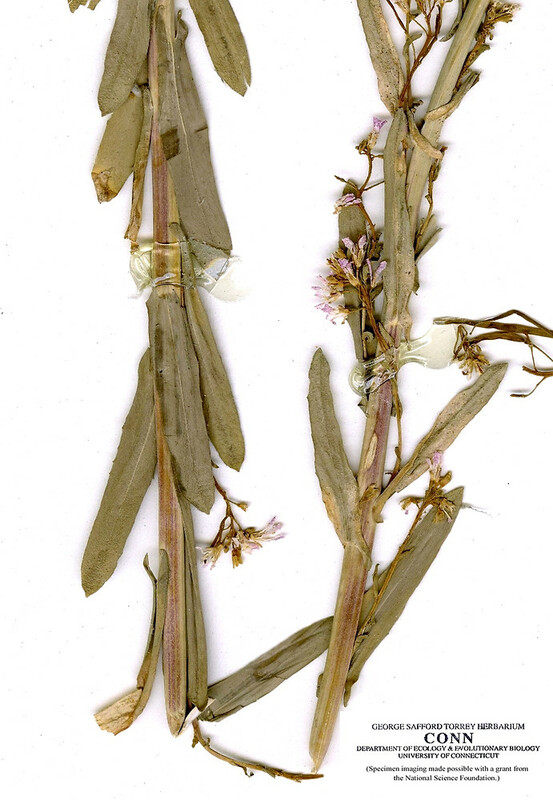 This species has been usually referred to as Boechera brachycarpa (Torr. 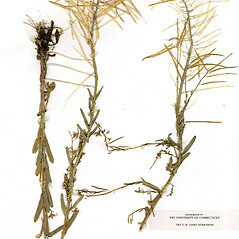 & Gray) Dorn or B. divaricarpa (A. Nels.) A. 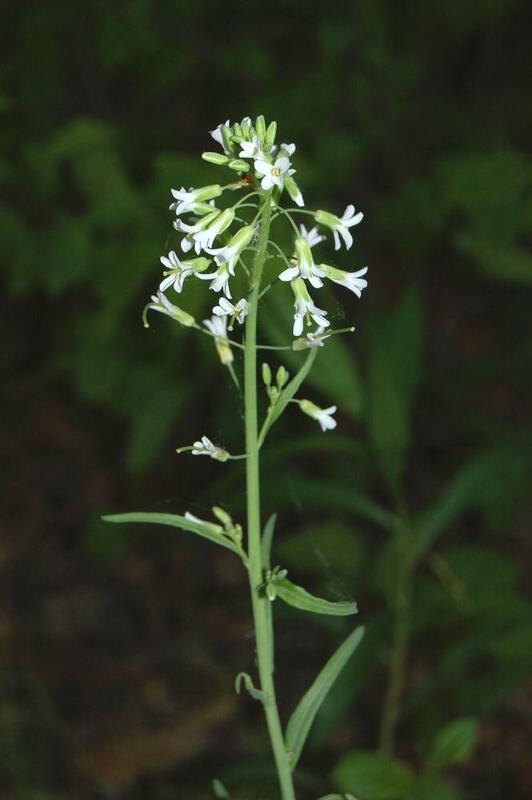 & D. Löve in New England literature (under one of the nomenclatural synonyms in the genus Arabis). The former name was published later than the epithet grahamii (1838 vs. 1831) and thus does not have priority. The latter name has been, in more recent literature, presumed to be a hybrid between Boechera holboellii (Hornem.) A. 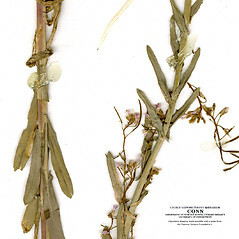 & D. Löve and B. stricta. 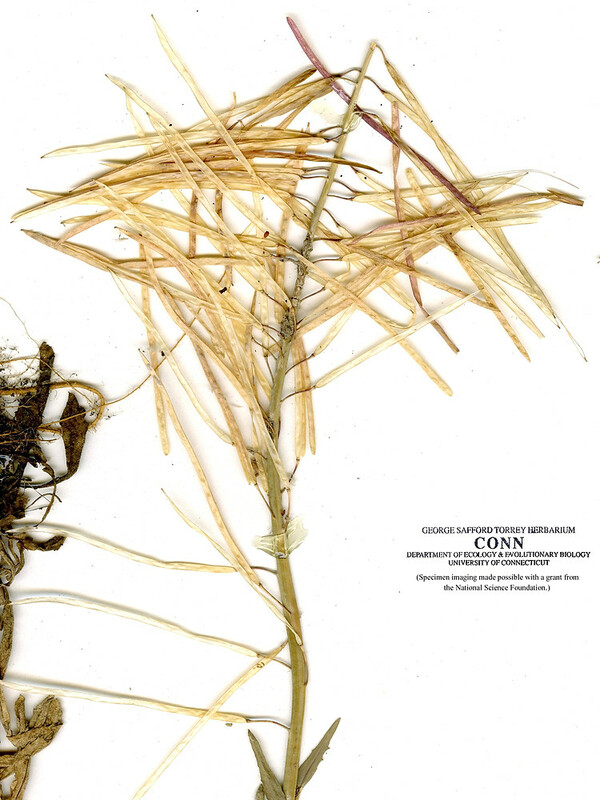 However, B. holboellii is apparently restricted to Greenland, making it highly unlikely to be involved in species here in New England (Al-Shehbaz and Windham 2010). 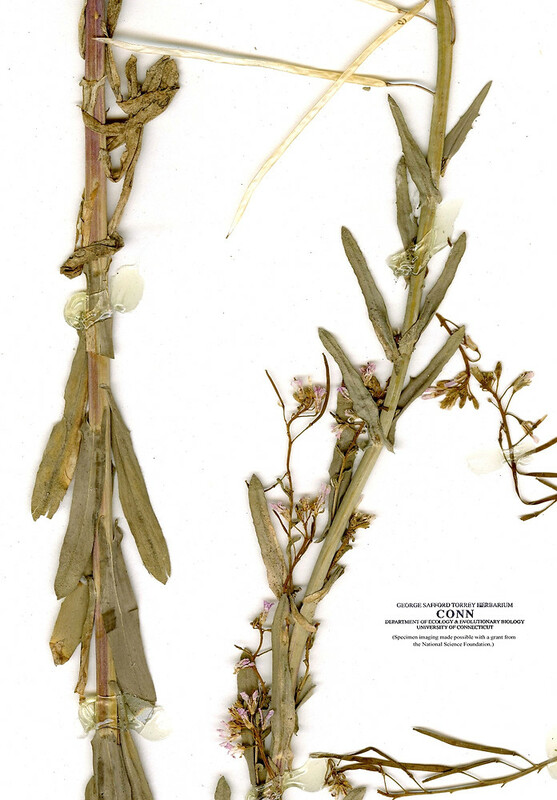 Further, recent taxonomic work reveals that B. divaricarpa is actually restricted to western North America. 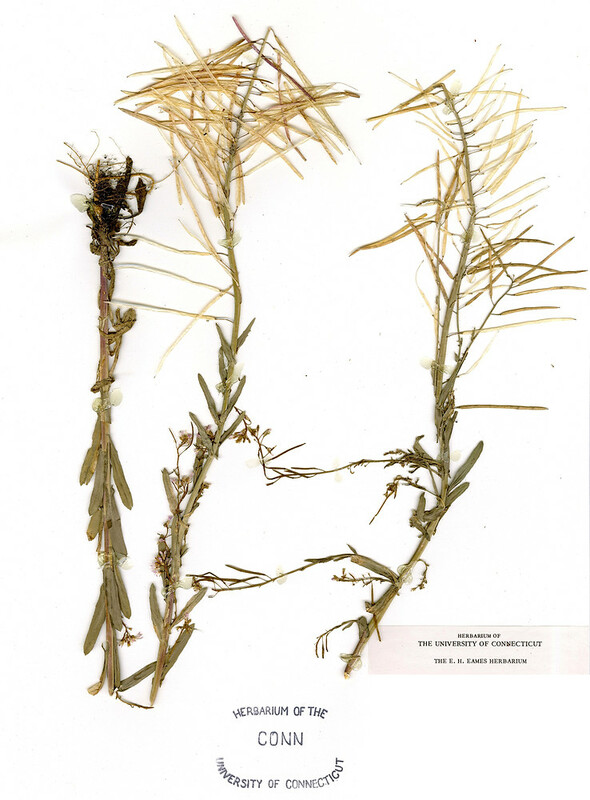 Our taxon ( B. grahamii) likely originated through hybridization between B. collinsii (Fern.) A. 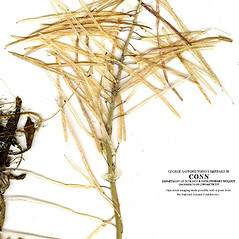 & D. Löve and B. stricta (Windham and Al-Shehbaz 2007).